Amazon in association with Samsung is giving away a Free book (Kindle edition) every month to the Kindle for Samsung users. So if you love reading books on your smart phone or tablet and have a Samsung device you may try this. 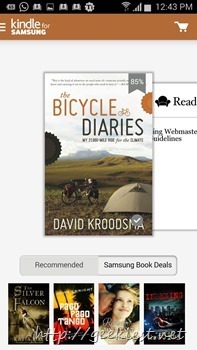 How do I get my free book every month with Samsung Book Deals? You can install the application (Kindle for Samsung) from this link. You need to have Samsung apps/ Galaxy apps installed on your Samsung mobile to install this. 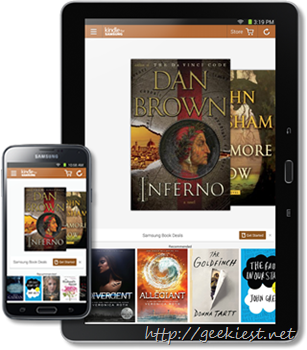 Samsung customers get a free book every month with the exclusive Samsung Book Deals. Get a 75$ worth anyflip platinum account for FREE for Geekieat readers. Time limited offer.